Moooo! says the Minotaur! 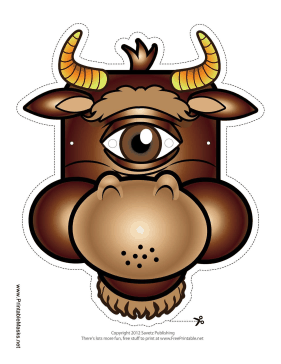 This brown, one-eyed bull mask is a quick an easy costume because Minotaurs have the bodies of men! This mask is free to download and print.